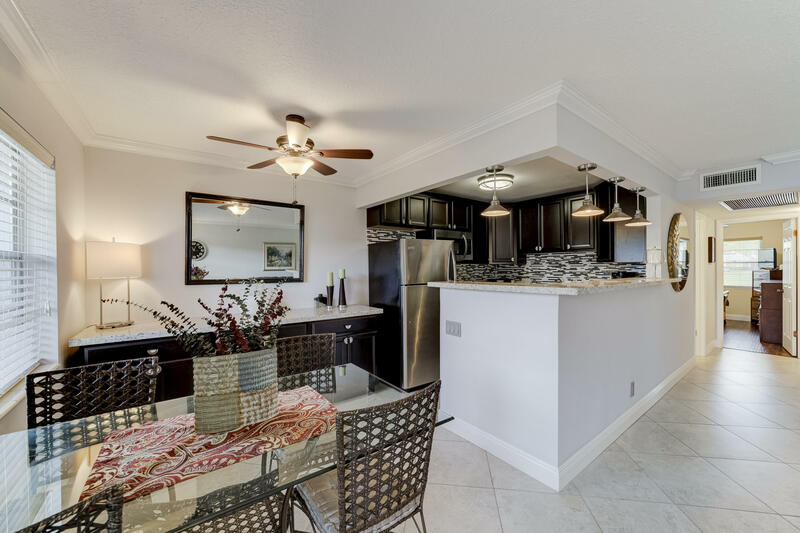 All Century Village homes currently listed for sale in Boca Raton as of 04/21/2019 are shown below. You can change the search criteria at any time by pressing the 'Change Search' button below. "3rd floor,CORNER,Updated open kitchen with granite lots of cabinets,stainless appliances,tile in kitchen , living area wood look floor,sliding windows on patio overlooking magnificent FULL lake view,closet on patio,newer carpet in master bedroom,main bathroom is updated,AC is about 3 years,this is a magnificent apt and a must see !! !The amenities even include internet !!! Living in Century Village is like living in a resort,fitness center,live shows,movies,buses,classes,bingo,card rooms,library,trips,tennis,clubhouse has indoor pool and outdoor pool,WALK TO HOUSE OF WORSHIP,CLUBHOUSE AND SHOPPING. Come see and then check out the clubhouse for yourself !!!" "2/2,4th floor, MAGNIFICENT BEAUTIFUL APT, totally updated !!! Open kitchen,custom white cabinets,quartz counters,new stainless appliances,freshly painted,the popcorn has been removed from the ceiling and it has a smooth finish,porcelain tile throughout including the patio, both bathrooms are updated,enclosed patio overlooks a beautiful lake view,look at the magnificent pictures. short walk to house of worship and clubhouse,this is a must see, the amenities now include internet and WiFi,Century Village is like living in a resort,fitness center,live shows,movies,buses,classes,bingo,card rooms,trips,tennis,close to shopping and restaurants,come see and then check out the clubhouse to see it for yourself. Per the association this is a 55 plus community!" "Public Remarks:3rd floor,2/2,light and bright,updated top of the line kitchen, granite and stainless appliances,extra cabinets into the dining room which is a buffet,top of the line window coverings,tile throughout,a/c about 2 years,tinted windows,Updated Closets,2 sliding doors out to the enclosed patio which has sliding windows with a magnificent full lake view,fans in all the rooms,close to the elevator,close to the Wolverton pool,both bathrooms have been renovated,walk to house of worship and clubhouse,come see and then check out the clubhouse to see all it has to offer!!!!" 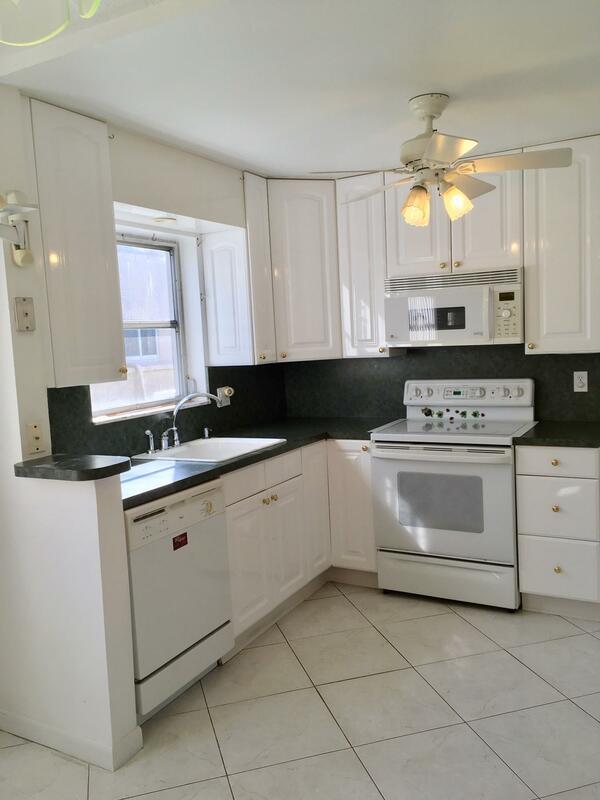 "Highly sought after 2 bedroom and 2 full bathroom. 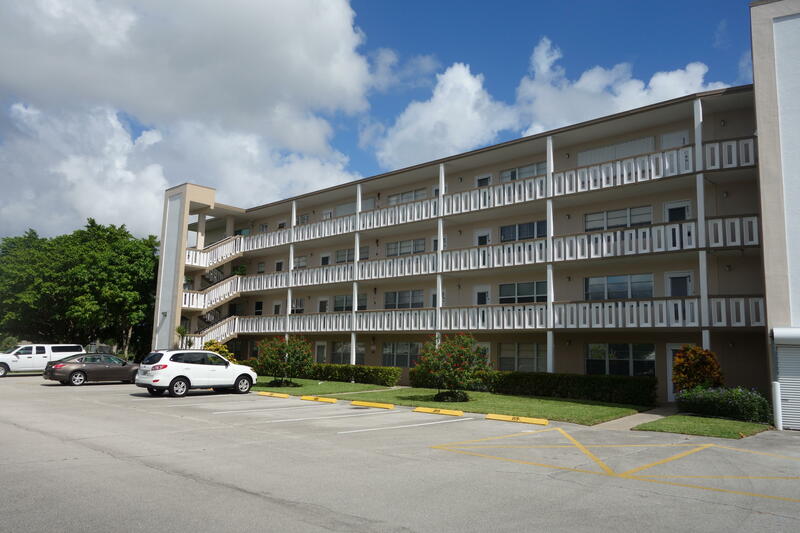 The condo is located in the Dover building C. This unit offers spectacular views of the lake and clubhouse, a completely updated kitchen, tiled floors thru out. 2nd bath has a step in shower. The screened in balcony overlooks the community lake. The community offers many amenities and programs such as several pools including a resistance pool, gym, sauna, yoga, pilates, bingo, and a newly remodeled theater to name a few. 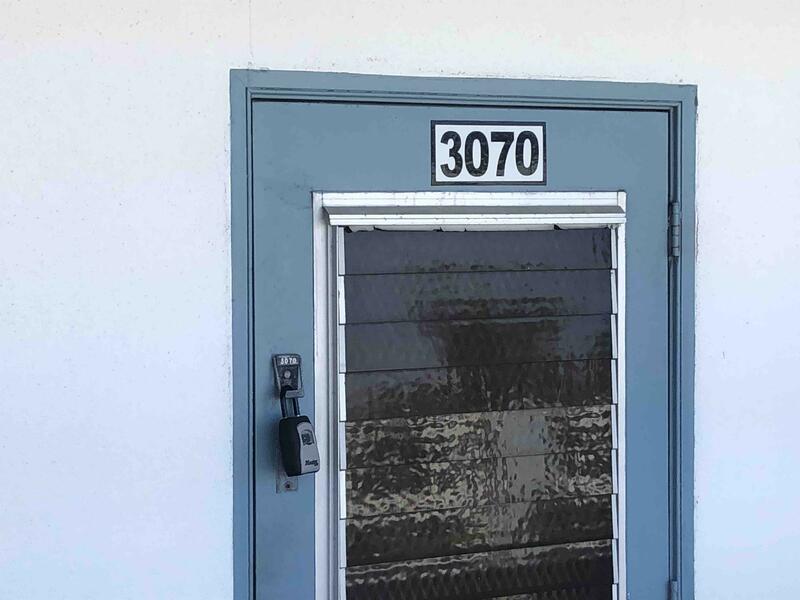 This unit is also close the the Gated Security entrance located on Okeechobee Blvd." "TOTALY REMODELED TO PERFECTION! TRULY A MUST SEE! 2 BEDROOMS 2 BATH CONDO. DESIGNER KITCHEN, BEAUTIFUL WHITE CABINETRY, STAINLESS STEEL APPLIANCES, ALL NEW BATHROOMS & CERAMIC TILE FLOORING THROUGHOUT. ENCLOSED PATIO WITH BEAUTIFUL LAKE VIEW. 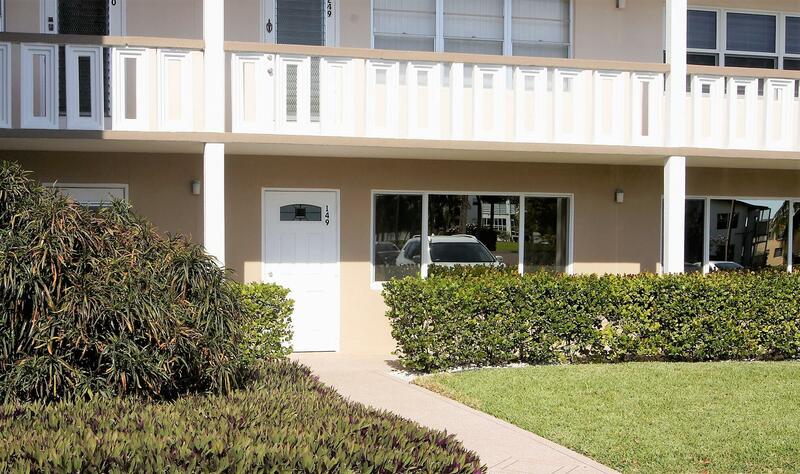 COME TO ENJOY YOUR WINTERS IN CENTURY VILLAGE, IS ONE OF THE BEST 55+ COMMUNITIES IN BOCA RATON. LUXURIOUS CLUB HOUSE, LIVE SHOWS, MOVIES, INDOOR/OUTDOOR POOLS, EXERCISE FACILITY, SOCIAL & ART ROOMS, COURTESY BUS TO TAKE YOU TO MEDICAL FACILITIES, SHOPPING, & RESTAURANTS. 15 MINUTE DRIVE TO THE BEACHES!" "A MUST SEE ! LUXURY AT ITS BEST ! 2/2 CONVERTED IN A ONE BEAUTIFUL BEDROOM, 2 BATHS. FULLY FURNISHED ! THIS IS A STUNNING DESIGNER ! NEW KITCHEN, NEW BATHROOMS, DESIGNER FURNITURE. TWO BEDROOMS CONVERTED INTO ONE FOR MORE OPEN SPACE & COMFORT. 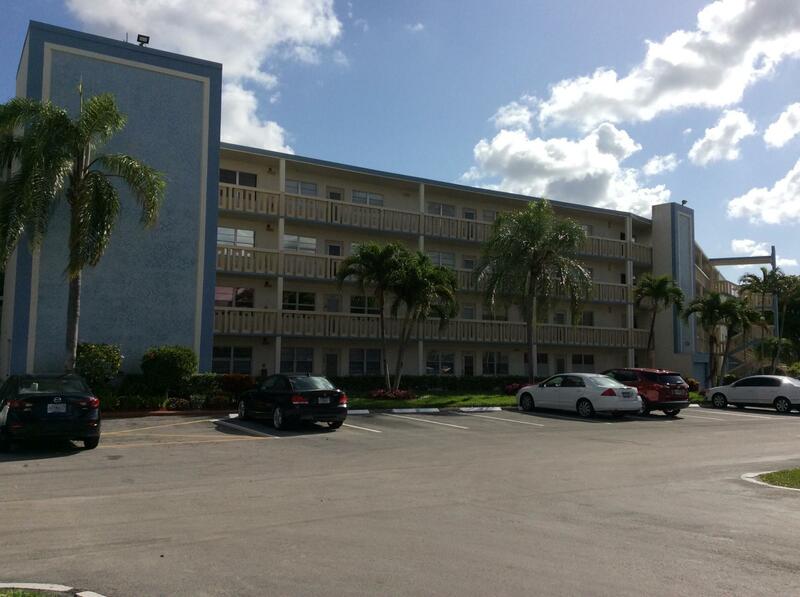 CENTURY VILLAGE IS ONE OF THE BEST 55 PLUS COMMUNITIES IN DEERFIELD BEACH FL.!!!" "Absolutely beautiful fully updated 2 bdrm/2 bath condo (customized baths w/marble counter tops) on the lake, 1st floor. Approx. 1200 sq ft. 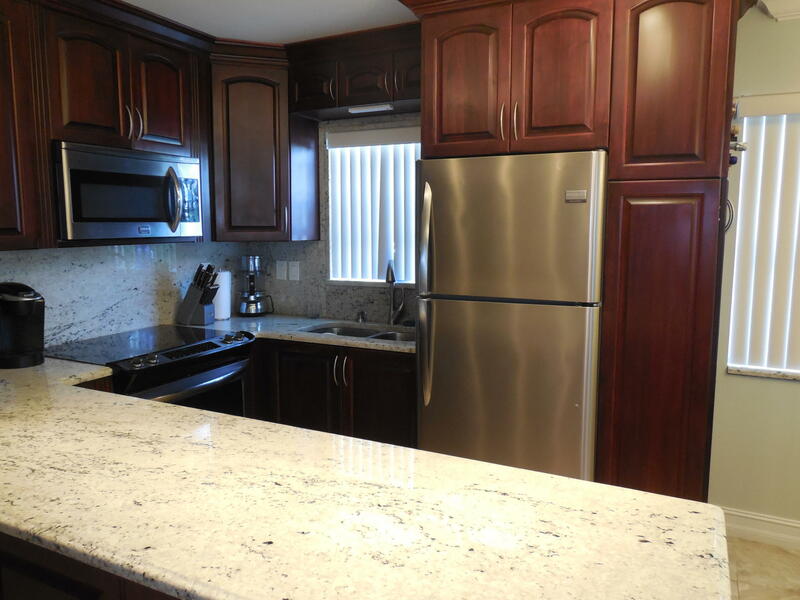 Granite counter tops, new kitchen appliances. 24X24 ceramic tiled throughout, new baseboards, airconditioning system, hot water heater, updated lightingand freshly painted. This is a must see and won't last long. Community has a clubhouse w/ a 1201 seat theater that shows 3 1st run movies monthly (free), fitness center w/ personal trainer, Walgreen Drug Store, barber/beauty salon, free onsite/offsite transportation, 24 hour security, indoor/outdoor pools, sauna, free basic cable and much more." "Welcome home. Beautifully renovated. 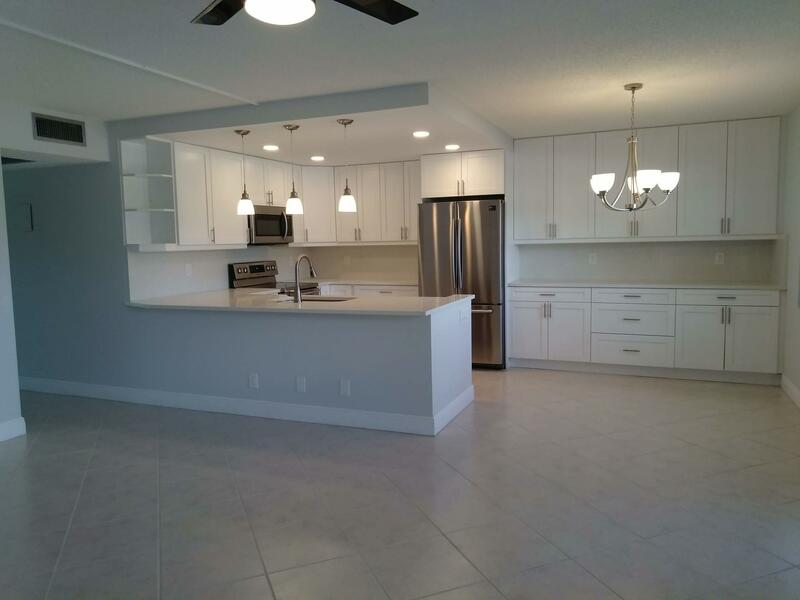 Crystal white Quartz counter tops and back splash, white shaker solid wood cabinets, stainless appliances. tile through out. Full water view from the largest porch area available in the community. First floor unit gives you walk out access to the lake. Both bedrooms have sliding glass doors and waterview. Community offers fabulous clubhouse, dances, entertainment, several heated community pools, salt water therapy pool, exercise room, bus trips and bus service for shopping and doctors appts and much more. Community is beautifully landscaped with fruit trees and each building has its own recreation area. Common laundry on each floor and parking right in front of unit. Gated entrance and patrolling security. Worship services & pharmacy on property." "55+ NEW AC 4-2019!! TURNKEY - WATERVIEW - LARGE -2/2 Professionally Renovated- Tastefully furnished. Remodeled to perfection! Elegant custom unit offers unparalleled craftsmanship through out the entire unit. In addition, Custom slimline counter w/ extra cabinets. Dishwasher. Upscale bathrooms tiled walk in shower and updated master with tub. NEWER HEATER. STUNNING unit and location! MUST SEE... Make an Offer! 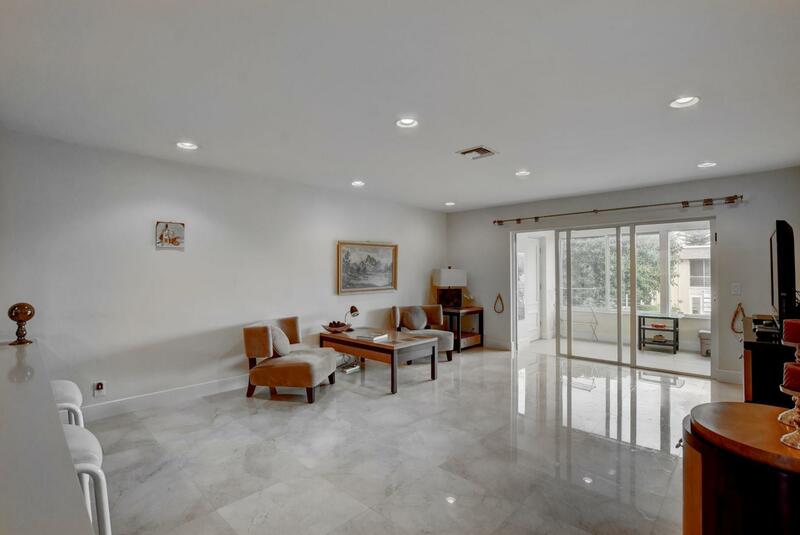 Exceptional amenities, state of the art fitness center, theater, clubhouse, sailing, tennis, sailing, courtesy buses on and off development, social clubs, dances and many more.Beautifully remodeled modern condo. 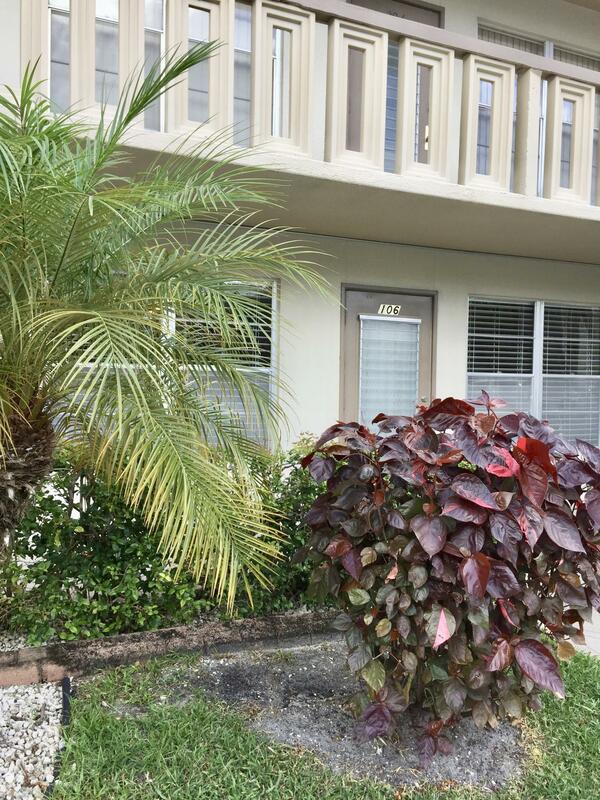 Oversized bedrooms, two full bathrooms, lake view from large lanai. Furniture negotiable. Turnkey!!" 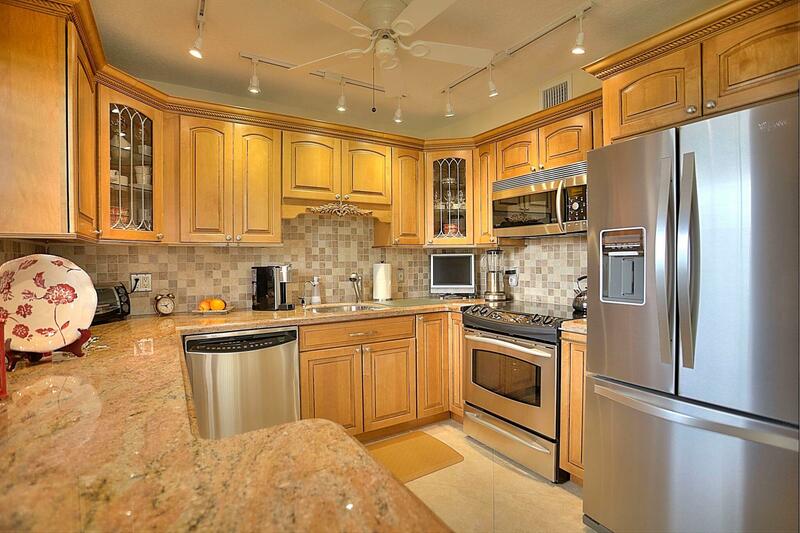 "BEAUTIFULLY UPGRADED 2/2 CONDO IN ONE OF THE MOST SOUGHT AFTER BUILDINGS IN CENTURY VILLAGE. THE BUILDING IS IDEALLY LOCATED NEAR THE WEST GATE ON A CUL-DE-SAC WITH ATTRACTIVE WATER AND PRESERVE VIEWS. THIS CONDO FEATURES ELECTRIC HURRICANE SHUTTERS ALONG WITH HIGH IMPACT GLASS FOR SUPERIOR HURRICANE PROTECTION. IT INCLUDE MANY DESIGNER TOUCHES INCLUDING CROWN MOLDING, 6 INCH BASEBOARDS, POPCORN REMOVAL , NEW CARPET AND PATIO FLOORING. THE KITCHEN FEATURES OUTSTANDING STORAGE SOLUTIONS, PREMIUM APPLIANCES AND NEW BACK SPLASH. THE BATHROOMS HAVE NEW GRANITE COUNTER TOPS, ALONG WITH GENEROUS VANITY STORAGE AND MEDICINE CABINETS. CUSTOM CLOSET ORGANIZERS COMPLETE THIS ATTENTION TO DETAIL.. THE ELECTRICAL HAS BEEN UPDATED WITH RECESSED LIGHTING AND NEW CEILING FANS. THIS IS A MUST SEE!" 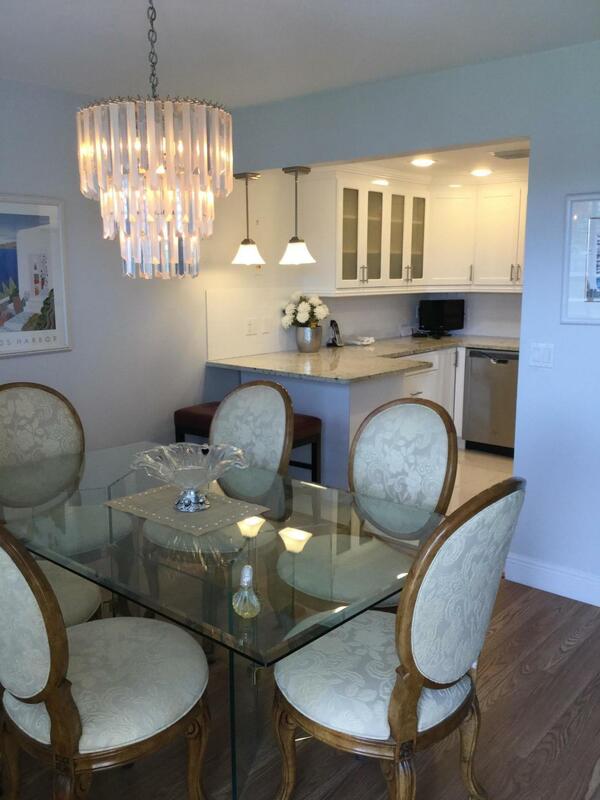 "Fabulous renovation of this two bedroom, two full bath luxury condo. Highly desirable outside corner ground floor unit. Top of the line materials and appliances. Very active and welcoming association. Pets under 20 lbs welcome." "Wow! If you like to live in style, than this stunning, large, professionally designed condo is for you. 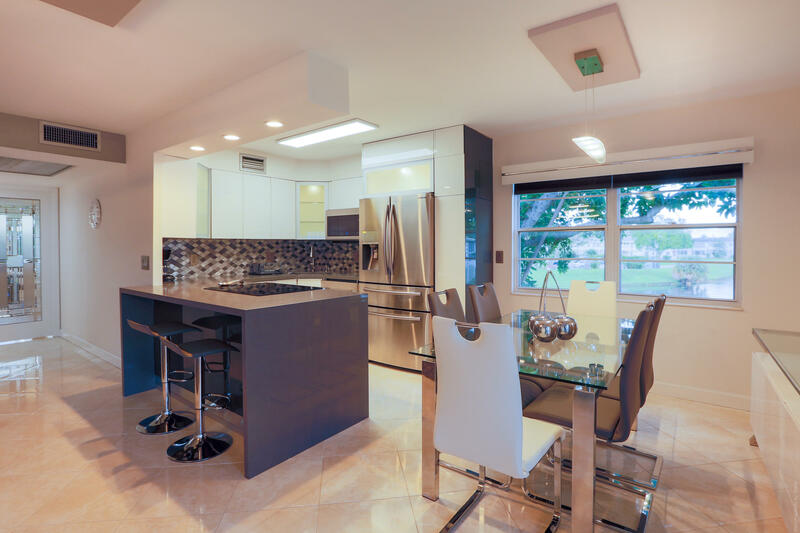 Marble flooring throughout, state of the Art custom made kitchen with sophisticated appliances as built-in Sub-Zero refrigerator, microwave, oven, and dishwasher ''Miele'', fully remodeled bathrooms, built-in wardrobes, fresh paint all over! A huge patio with new windows and central AC has been transformed into large extra room with amazing garden view and provides a serene place to relax. Hurricane shutters, private pool and barbecue area in beautiful courtyard for Oxford residents only. 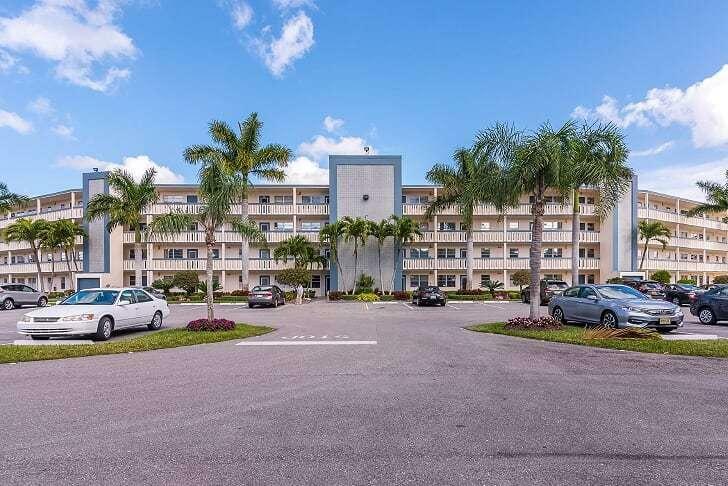 CV offers many activities as billiard, entertainment, tennis, boating, aerobics, health&fitness center, 1,100 sits clubhouse, shuttle buses... Minutes to downtown shopping, ocean, PBI aeroport"
"1st Floor Unit. Updated Kitchen, & Baths. Wood Cabinets, Granite Counter-tops. 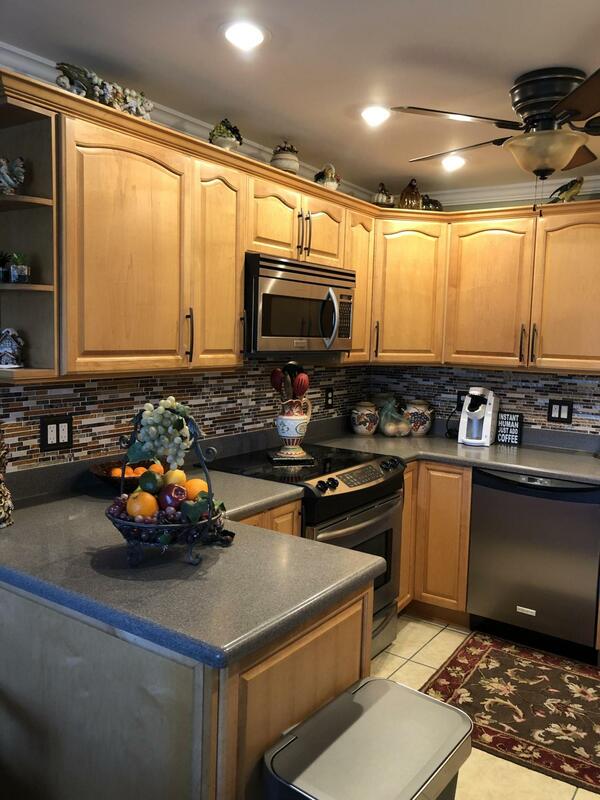 Stainless Appliances Glassed Enclosed, with Pulled down shutters.Beautiful Lake Views. Close to Community Pool"
"Turnkey condition ! Walk into luxury. Stylishly furnished completely, with comfy leather living room furniture and large TV. New central air. Full breathtaking lakeviewl in tropical surroundings. 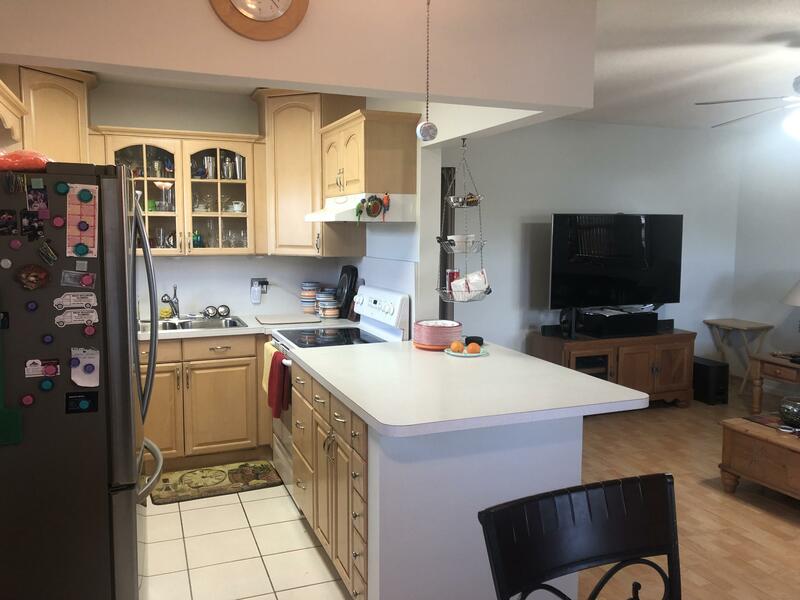 New open kitchen w newer appliances, professionally designer type cabinets with modern hardware. Granite throughout and stone backsplash and double stainless sinks. Cabinets are new also. Patio is furnished with for southern living and has 18'' ceramic tile and ubobstructive view. New baths with his her sinks and step in shower. Impact front door and windows.Impact sliding glass patio doors. Extra storage Brand new A/C. Your parking space is at the door no hassle with long walks to elevator. Short walk to exciting clubhouse with 3 pools and short easy walk to Eastgate, No pets or rentals"
"This turnkey penthouse in the desirable Berkshire B has Brand New vinyl flooring all throughout the living and dining room and enclosed patio. The kitchen has been opened adding additional counter space and flowing perfectly with already spacious and bright living and dining area. The floors in each bedroom have recently been upgraded to vinyl flooring. Both bedrooms have french doors that lead into one of the largest patios in Century Village. Also, the A/C unit is NEW, replaced just this year, 2018! From the patio you have a tranquil garden view of trees. You are only steps from the pool and conveniently within walking distance to places of worship and club house." "Can lease right away no waiting period. Must see this modern styled remodeled 2 bed 2 bath with garden views, elevator access. This condo is gorgeous and acquires attributes that would resemble from a high end archtitectural magazine such as; 12x24 tiles floors throughout, granite countertops, all new white cabinets, all new staineless steel appliances, new vanities in bathrooms, new tile in shower and tub areas, all new lighting. The electrical box is upgraded to new codes, and permits were pulled for the whole renovation and closed satisfactorally. This unit is in Newcastle subdivision which is one of the few buildings that has already done the new construction such as new roofs, new pool renovations and repavement of the street and parking lots. Easy to show on lockbox." "WOW IS WHAT YOU CAN SAY! THIS WILL NOT LAST. 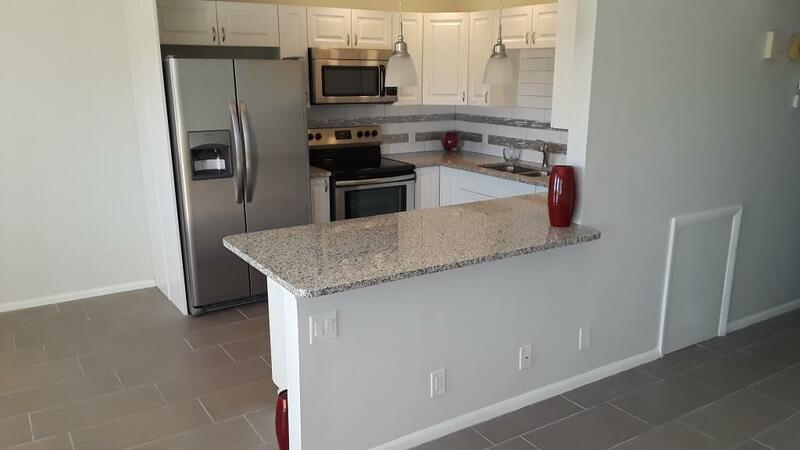 ALL REMODLED CONDO CLOSE TO TURNPIKE AND SHOPPING, ALL NEW KITCHEN AND APPLIANCES, ALL NEW CABINETS, SHOWS LIKE A MODEL. FURNITURE INCLUDED. JUST MOVE IN!" "STUNNING RENOVATED CONDO! 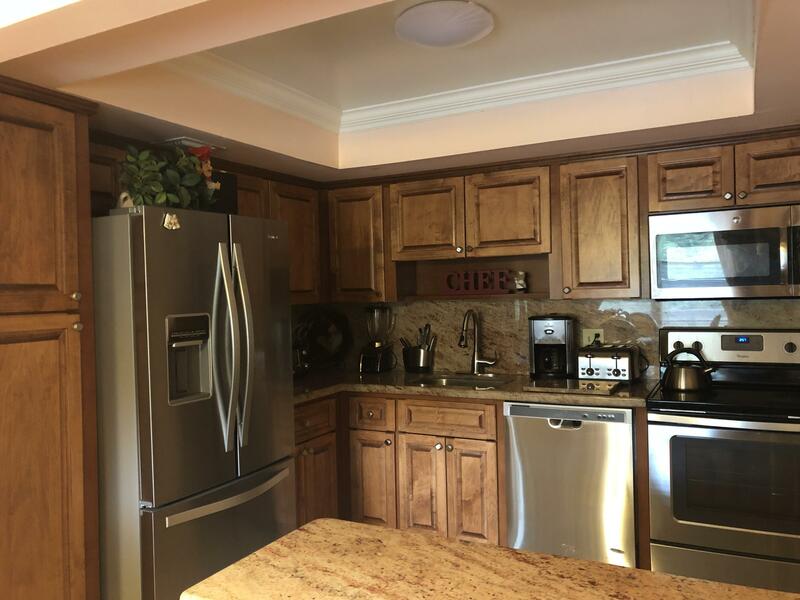 !1 All new kitchen,tray ceiling,crown molding. Stainless appliances,granite counters,soft touch cabinets,french door refridgerator with ice and water,disposal and more. ceramic tile and laminate bedrooms,freshly painted,smooth ceilings. Custom vanities in baths,new toilets too. California closts,new impact windows ,sliders on patio,new doors accordian shutters. 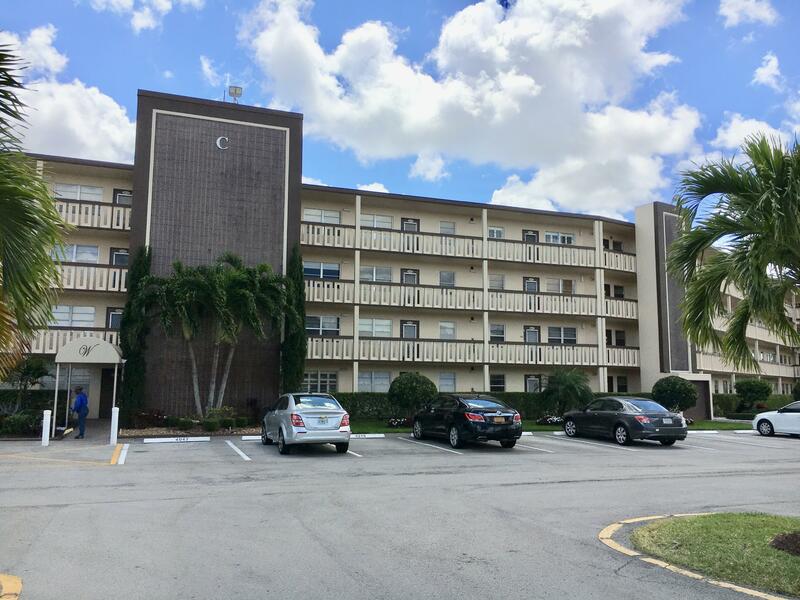 One of the best buildings,elevator,on cul-de-sac,across from preserve"
"Great two-bedroom, one-and-a-half-bath condo in 55+ community. Residence has been updated and has all new double-pane windows and doors. Residence also has hurricane shutters and comes furnished. Turn-key and move-in ready. Great for investor or someone looking for a second home getaway!" "WOW!!! PARK AT YOUR DOOR,PET FRIENDLYOVERSIZED RENOVATED TWO BEDROOM.POCELAIN TILE THROUGHOUT,NEW KITCHEN, NEW BATHS, CALIFORNIA CLOSETS, NEW A/C & H2o.WASHER/DRYER ALLOWED.MUST SEE,WON'T LASTNEXT DOOR 2/2 ALSO AVAILABLE SEPERATELY OR TOGETHERASK AGENT FOR DETAILS"
"Beautiful updated condo. 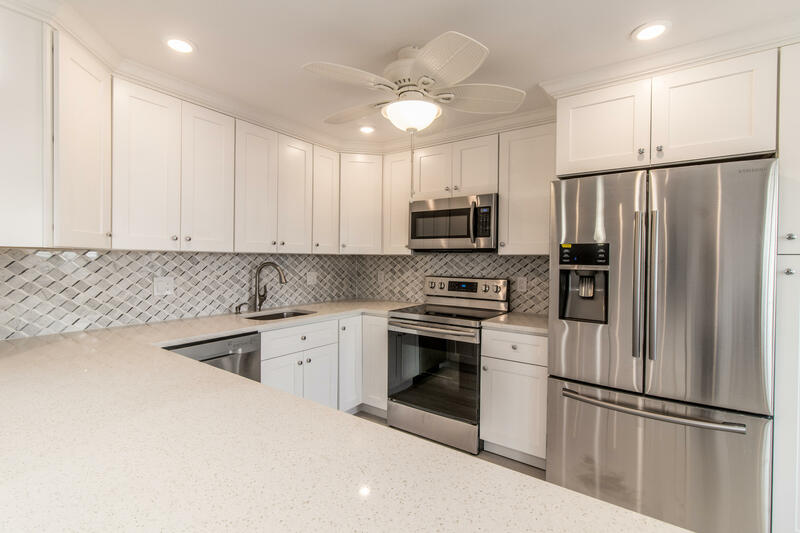 You won't be disappointed Kitchen is ultra modern with granite counter tops, under counter lights, that reflect the white subway tile backsplash and the glass front cabinets that are all wood white laminate. Stainless appliances also pull out spice rack ,corner lazy susan and so much more plus crown molding. 2 beautiful drop pendant lights over breakfast counter. 24x24 porcelain tile on kitchen floor. All decorative 6 in baseboard thru out the condo with Laminate floors. Queen size Murphy bed with lights above in guest room. 6 panel doors thru out. Front door opens to view of the private Greenbrier pool. Laundry close by with no coins to operate. 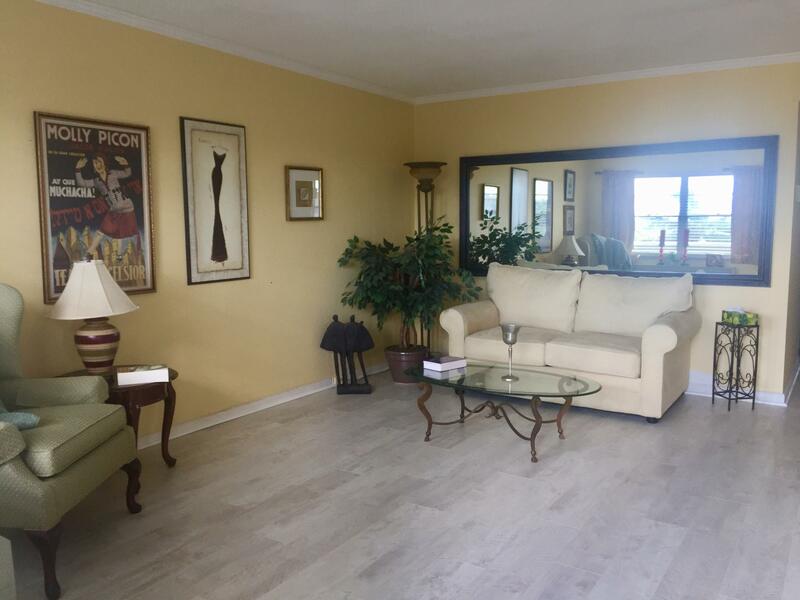 All new freshly plastered walls and ceilings.Beautifully decorated with custom blinds on windows"
"Beautifully remodeled 1st floor, furnished waterfront condo. 18'' porcelain tile main living area, laminate in bedrooms. 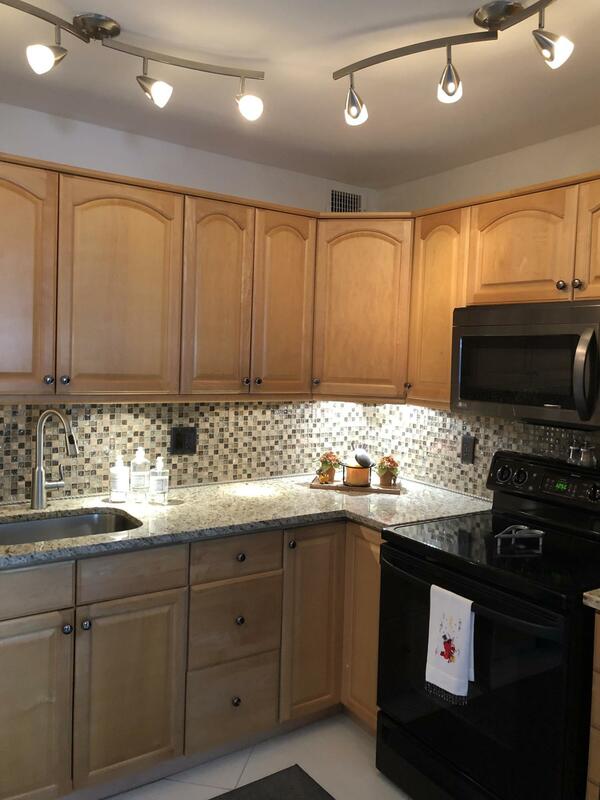 Espresso finish cabinets, granite counter tops, stainless appliances, knockdown finish ceiling,crown molding, glass mosaic inlay shower stall, wood blinds. Century Village offers the finest in 55 plus lifestyle living with its 155,000 sq' clubhouse featuring 1,500 seat theater, billiards, shuffle board, fitness center, courtesy bus service,ball room, ping pong,heated pools,tennis, pickle ball, security gated safe community. You'll love this place. This unit in move in ready!" 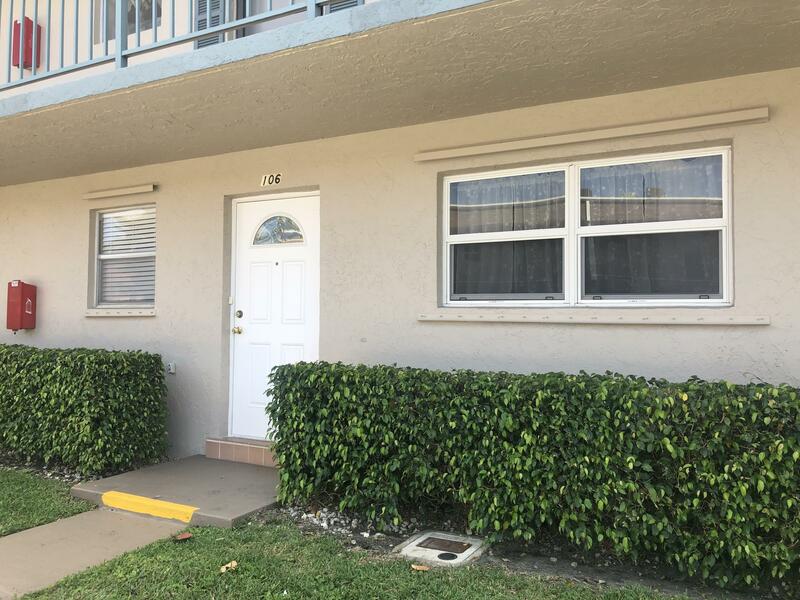 "FOR SALE IN A 55+ COMMUNITY 2 bedroom, 2 full baths condo on the 1st Floor, updated kitchen, all tiled floors, Washer, Dryer, sold unfurnished. Amazing lake view patio, extra exterior storage. 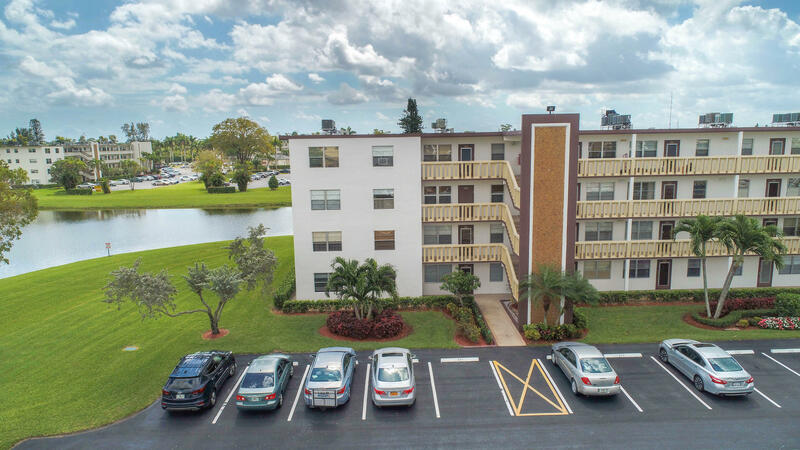 You will enjoy South Florida lifestyle with amenities like a fully equipped fitness center, club house, free transportation, security, close proximity to PBI airport, shopping, beaches, restaurants. Hurry, will not last at this affordable price!"